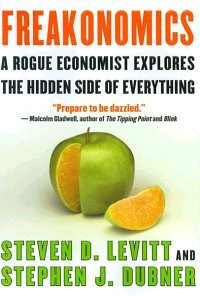 "Freakonomics: A Rogue Economist Explores the Hidden Side of Everything" is a one of the best sellers written by Newyork Times journalist Steven D. Levitt http://en.wikipedia.org/wiki/Steven_Levitt and Stephen J. Dubner http://en.wikipedia.org/wiki/Stephen_J._Dubner. 3 million copies of this book is sold world wide. It is a collection of economics articles written in a pop culture style. The E-book is a full version with 188 pages divided into 6 chapters. The file size is also very less (about 310KB) and downloads instantly. Perfect Parenting, Part II; or: Would a Roshanda by Any Other Name Smell as Sweet? I've a huge collection of e-books in the form of PDF, Chm, webpage etc. Which I'm going to share with you in my future posts. Don't want to miss any ebook Subscribe to my Feed and get the updates as soon as I upload the file. The boom in Medical sector have opened great opportunities for the post of medical assistant. With people becoming more health conscious the health care sector is booming all over the world. India is also one of the leading player in providing best quality health care services all over the world at an affordable cost. From last few years the companies like Fortis, Apollo, Wockhardt, MIOT Hospitals etc. are prospering in the field of health care in India. Even the governments announcing lot of health schemes has increased the job opportunities in this sector. Respond to situations typical for a busy medical practice. With a Medical Assistant Degree you can pursue an exciting and rewarding career in the field of medicine, and play a critical role in today’s health care system. The Medical Assisting programs consist of four areas of training: clinical, administrative, laboratory, and externship. Medical assistants should have a wide range of knowledge and skills including, medicinal, dental, clerical, communication, English, Customer and Personal Service etc. Adding a certification with any medical related degree will add value and increase your possibility of getting job and hike in the payscale. You can also get an online degree at your convenient time without leaving your current job or position. Take your own time to complete the course without any restrictions. It will hardly take 6-8 weeks to complete the course. There are many medical assistant schools online that provide international certification programs. Just you have to enroll to the course that you like to complete by registering yourself in their website. After making payment you will recieve your username and password that enables you to login to their website and download the course/study materials. once you are confident enough you can take the examination. The certificate will be delivered to your door step. It's CAT Fever now everywhere. All MBA aspirants are busy preparing for one of the toughest entrance exams of the world. Are you preparing for CAT and want to test your skills? Take Mock CAT exam now. TIME (Triumphant Institute of Management Education) leading competitive exam training provider in India has prepared these questions. It's hosted at UTVi.com. CAT exam is conducted by six IIMs(Indian Institute of Management) spread all over India for selection of students into it's various management courses. Many top grade management colleges in India also select their students based on the CAT score. CAT is one of the toughest entrance exams in the world. each questions is framed carefully. they take approximately 3days to frame each question. The day after the exam they start preparing for next years exam. STOP THE CONCEPT PHASE. START THE RESULTS PHASE. shaping human lives. Give your career a fresh lease of life. Christ College, Hosur Road, Bangalore - 560 029. Candidates with a minimum of 3+ years of experience in IT Technical and Functional skills are invited to participate in the Career Fair with Team IBM, where apart from the walk-in interview, they can also be a part of a series of sessions being conducted on the participating competencies. Students who have cleared the second PU supplementary examination will now get an opportunity to prove their mettle. The government has allowed eligible second-year PU supplementary students to select seats in professional courses through the Karnataka Examination Authority (KEA).Reported by Times of India. After a casual round of counselling, vacant engineering seats can be allotted to second-year PU supplementary students based on their eligibility, the government order said. If private colleges voluntarily give their seats to the CET, these seats can also be allotted to the students after counselling. The KEA also held a meeting with private college officials on Friday to discuss possibilities of seat surrender by the latter to the KEA. Once the seats are freed, the KEA will be able to accommodate second-year PU students. KEA administration officer S P Kulkarni said 25 colleges on Friday have agreed to surrender their vacant engineering seats. “We expect more to follow,” Kulkarni said. “The total number of seats freed from these colleges will be around 300,” he said. Around 70-80 colleges have asked for more time and they are likely to announce their decision on Saturday afternoon. “It was just a preliminary meeting. If the rest of the colleges decide to surrender their seats, the number will reach around 1500,” he explained. According to him, the number of available government seats will be known after the completion of the casual round of counselling. There are around 4,064 eligible second-year PU students. This trend clearly shows the craze of getting into engineering and other professional courses are declining and students are exploring new courses. This order helps only those professional colleges whose majority of seats are still vacant even after seat selection process. This is a list of 4 free on-line video courses from Top Universities like MIT, Stanford, Wharton, UC Berkeley, Washington, NOVA etc., on Anatomy & Physiology. Theses are class room recorded videos. No Login or No fee required. Watch this space for more Free Video Tutorials. You can also Subscribe to Feed to get notified whenever I post new topics. This is a list of 9 free on-line video courses from Top Universities like MIT, Stanford, Wharton, UC Berkeley, Washington, NOVA etc., on Chemistry. This is a list of 17 free on-line video courses from Top Universities like MIT, Stanford, Wharton, UC Berkeley, Washington, NOVA etc., on Physics. This is a list of 20 free on-line video courses from Top Universities like MIT, Stanford, Wharton, UC Berkeley, Washington, NOVA etc., on Mathematics. Theses are class room recorded videos. No Login or No fee required. Today is the birth anniversary of Dr.S.Radhakrishnan, the ex-president of India, Whose birth day is celebrated as Teacher’s Day. He was also a teacher for which he wanted his Birthday to be celebrated as Teachers Day. I would like to thank all my teachers, mentors, guides who are responsible for my position today. Without them today I’m no where. At this auspicious occasion I remember my school days in Navodaya Vidyalaya (A residential school run by HRD department of Union Govt., India). Yes it is not just school days, it’s golden days of my life (Off course it’s the same for majority of us). Some students used take responsibility of each one of our teachers and take classes as they do. It’s one of the great fun and we used to enjoy most. Even teachers like to see their students acting role of them. The whole day is celebrated with a remembrance of the great human being Dr.S.Radhakrishnan. We used to have cultural programmes. Those days never come back again. It’s just a sweet memory from my dairy. Just felt like sharing this with the world. Let’s thank and respect all our teachers for their invaluable contribution towards building our lives and success. Our success is their joy. They sacrificed their lives for us. Once again a great salaam for all my teachers. I love and respect all of you. This is a list of 13 free on-line video courses from Top Universities like MIT, Stanford, Wharton, UC Berkeley, Washington, NOVA etc., on Computer Networking. This is a list of 6 free on-line video courses from Top Universities like MIT, Stanford, Wharton, UC Berkeley, Washington, NOVA etc., on Signals & Systems, Communication systems. This is a list of 17 free on-line video courses from Top Universities like MIT, Stanford, Wharton, UC Berkeley, Washington, NOVA etc., on Electronics. This is a list of 31 free on-line video courses from Top Universities like MIT, Stanford, Wharton, UC Berkeley, Washington, NOVA etc., on Computer Science & Programming. First Round of Seat Selection Process started for MBA from VTU PGCET Cell on 25/08/2008. The no. of seats selected in each college on the first day shows the popularity of Management colleges among MBA aspirants. Here is the ranking of MBA Colleges in Karnataka under PGCET. Many of the top MBA Colleges like Christ College Institute of Management (CCIM), Mount Carmel, St.Joseph's etc. are granted with Autonomous status. So they are out of PGCET now. They have there own entrance test or they take students based on the scores of CAT and MAT, Group Discussion and Personal Interview. Only Jyothi Nivas College(Autonomous) is still with PGCET for admission of students to MBA. So what do you think about this post.... Provide your feedback, suggestions and comments here. Here is the list of top MBA colleges in Karnataka based on the surveys conducted by various Business journals like Outlook, Business World etc, Government agencies like UGC, NAAC etc. I’ve listed only those colleges which are affiliated to universities in Karnataka and admit students based on PGCET. I’ve not included those colleges which don’t come under PGCET. This list is not exactly represents or ordered according to the exact ranking but follow the nearest pattern of ranking.